Pioneer Electronics (USA) Inc. Professional Sound and Visual Division today announced the availability of its new rekordbox® DJ music management app for iPhone® and iPod touch®1. The rekordbox App enables users to prepare and manage music stored on their portable devices as well as create playlists, cue/loop point and beat location settings, perform waveform analysis, and more. The organized music in the device can also be wirelessly synched with a computer utilizing the Pioneer rekordbox music management PC software, providing the additional convenience of preparing music for playback on a Pioneer DJ system. Much like Pioneer’s rekordbox PC software, the rekordbox App makes it fun and easy to prepare songs for DJ playback. 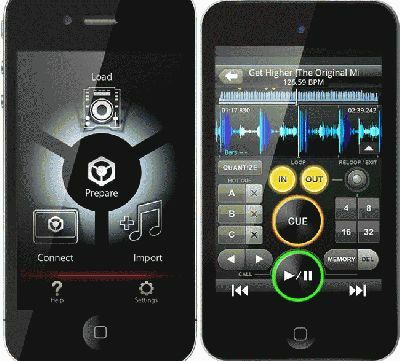 The app utilizes graphics similar to the waveforms, bars and buttons found on Pioneer players so users can simply touch the screen of the device being used to create and customize set points in their music. The new app also features music file browsing with the ability to customize browsing and sorting menus; log and play tracking for saving playlists on the device; and the ability to change the language of the display from among nine languages. Pioneer’s recently announced XDJ-AERO DJ system takes full advantage of the rekordbox App, enabling an iPhone and iPod touch to become an additional source for music content. The XDJ-AERO also creates its own access point, eliminating the need for any hard-wired connections and allowing an iPhone or iPod touch with the rekordbox App to temporarily transfer content wirelessly to the DJ system. Pioneer’s rekordbox DJ music management App is available at no charge from the App Store on iPhone and iPod touch or at www.itunes.com/appstore/. iPhone and iPod touch are registered trademarks of Apple Inc.